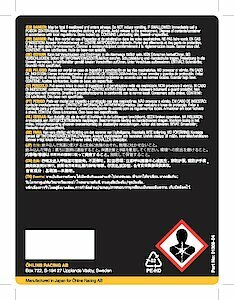 Oil recommendation can be found in the detail information for each Öhlins product. 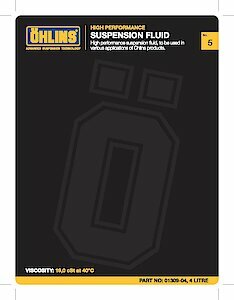 Öhlins has developed high-quality oils for its shock absorbers, forks, and cartridge kits. They include a range of fork oils which will increase the performance of original telescopic and upside down forks. 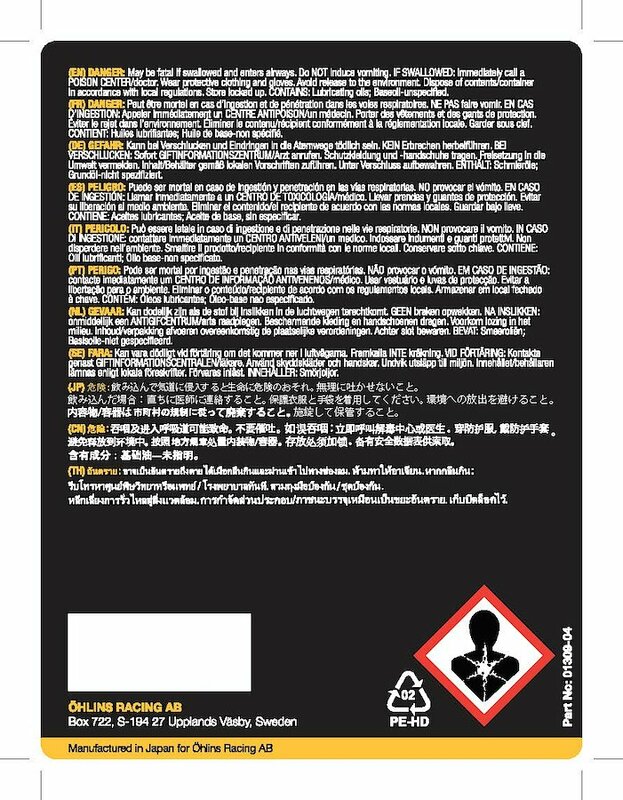 The different viscosities available make it possible to select the most suitable oil. 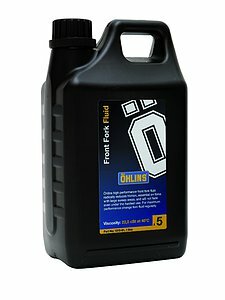 What distinguishes Öhlins fork oil from conventional oils is that it reduces friction, stays cleaner, has a long service life, and is highly resistant to foaming (known as cavitation). Together with the front fork springs from Öhlins, a considerable improvement in the responsiveness and performance of an original fork can be achieved.